If you are in the market for a new Android smartphone and happen to live in the UK, a bargain offering is coming soon from ZTE. The smartphone is called the Skate and the device has a giant screen that reminds me a lot of the HTC Desire HD in size. The Skate has a 4.3-inch screen. 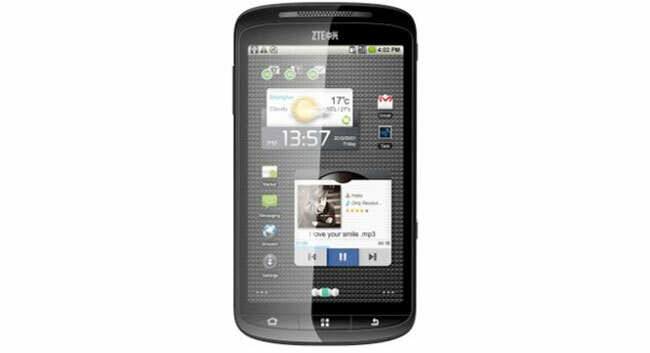 The smartphone runs Android 2.3 and it can be pre-ordered right now for £249.99. The processor operates at 800MHz and it has a microSD card slot for storage expansion up to 32GB. The smartphone has 256MB of RAM and 512MB of ROM. The internal storage is a measly 150MB. The screen supports capacitive touch and the device is expected to hit the Orange pay as you go service. The price should be even less on that service. The Skate is about £200 cheaper than competing phones. It packs in WiFi and Bluetooth as well. UK etailer Clove will ship the phone sometime in September. The big screen has a resolution of 800 x 480.